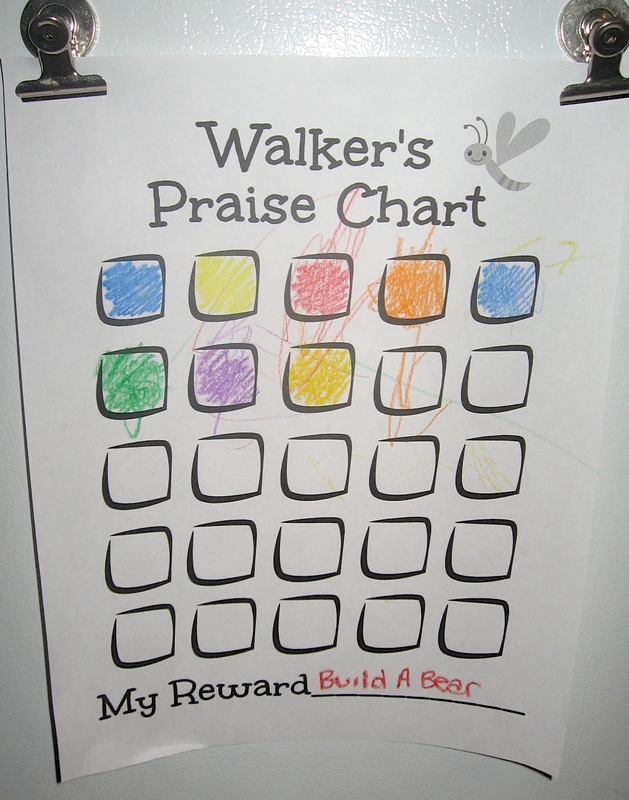 I’ve been trying to focus on Walker’s good behavior lately and praise him for all the little ways he shows character throughout the day. I feel like praising him for the good will help to reinforce that kind of behavior and hopefully cut down on the not so great behavior. We’ve been using this chart that I made and I figured that I’d share it in case anyone else might want a copy. You can use stickers or crayons to fill in the boxes. We’ve been using crayons since I didn’t have any stickers and haven’t been able to get to the store. This is my first printable so let me know if you have any problems viewing it! PS Walker’s reward is a trip to Build-A-Bear and I might be a tad bit excited. Do you use any kind of positive reinforcement with your kids? If so, do you use a chart? I’d love to know! LOVE this! And I really need this reminder....I'm reading "No More Perfect Kids" by Kathy Koch and Jill Savage, and getting great ideas to implement there, too!